Artbeat 2018 owes its success to all our sponsors and supporters. We thank them all for their generosity, and hope that you will support them in return. Hudson McHugh With plenty of experience and the benefit of youth still on their side, Inner West locals James Price and David Eastway set about creating an agency that challenges the perception of real estate and real estate agents' role in the community. Named in honour of their mothers, Hudson McHugh sees a shift away from the traditional transactional approach to a far more experience - based service where clients feel properly cared for and empowered. 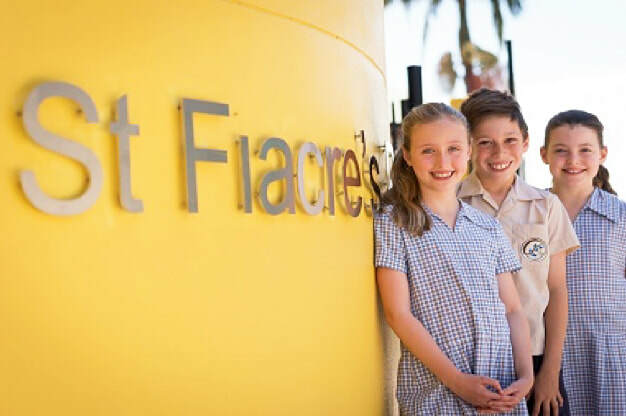 We rely on parents of St Fiacre's and our local community & businesses to make Artbeat a success by sourcing and providing donations for the event. We will add details of supporters as we head towards the event. Thank you for your support! Our fundraising focus for 2018 is to support the resourcing of the new Science syllabus to enable the students and teachers to fully embrace digital technologies in the classroom. We will also be allocating funds to the upgrade of Technological Resources.